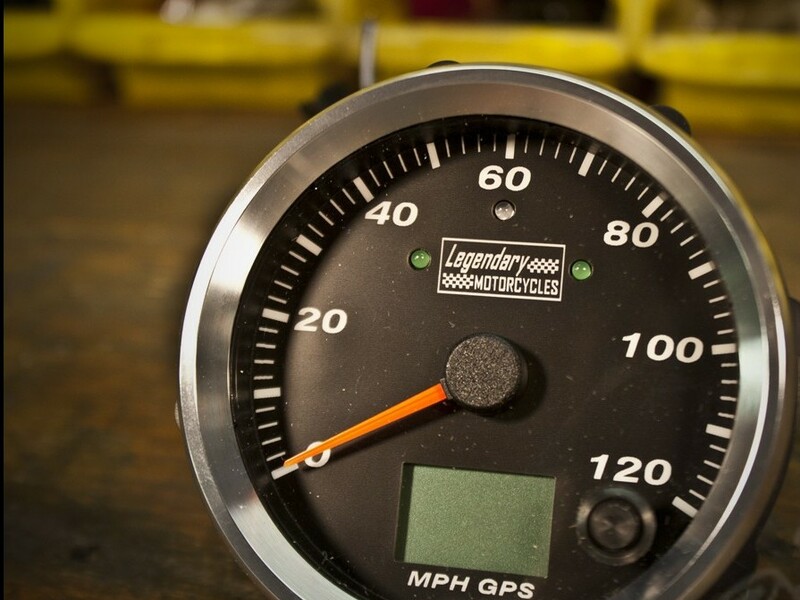 If you ever have changed the size of your rims or even tires, you know that it alters the final ratio that the speedometer sees, infering inaccuracy in the speed and distance displayed. 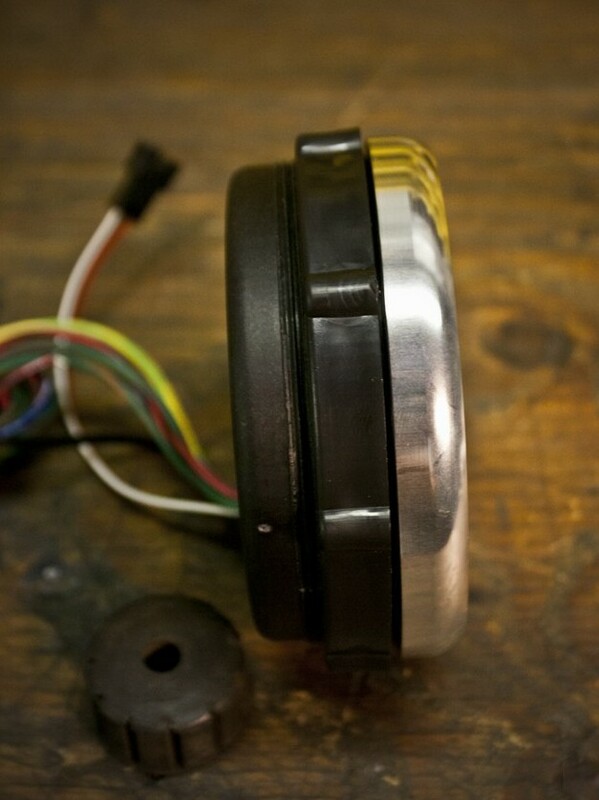 In some cases it even leads to some difficulties in finding the right gear to match up the new wheels. 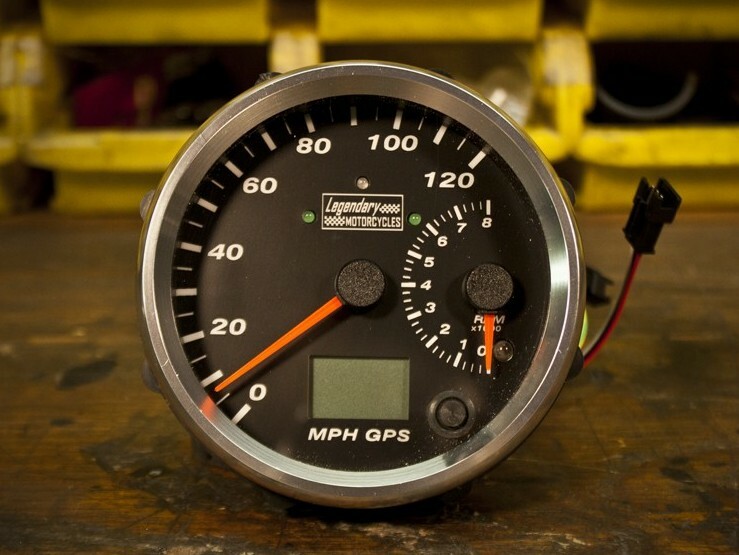 Here is a solution that bike builders love: a speedometer or combo speedometer-tachometer that uses the GPS technology to calculate instantly the speed of the bike. 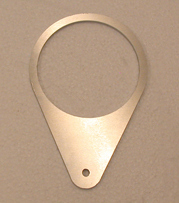 The idea is quite simple as those are used for decades on boats and planes, but someone had to adapt it for motorcycles. “Legendary Motorcycles” made them in 4” and 3” ½ diameter but not yet in 5” for Vincent. 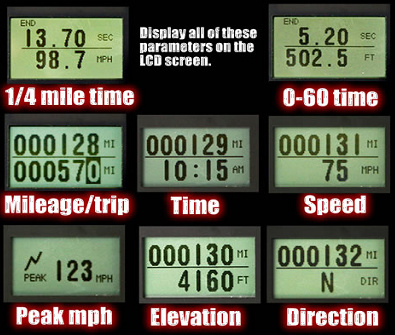 Display 0-60 Time and distance in feet. 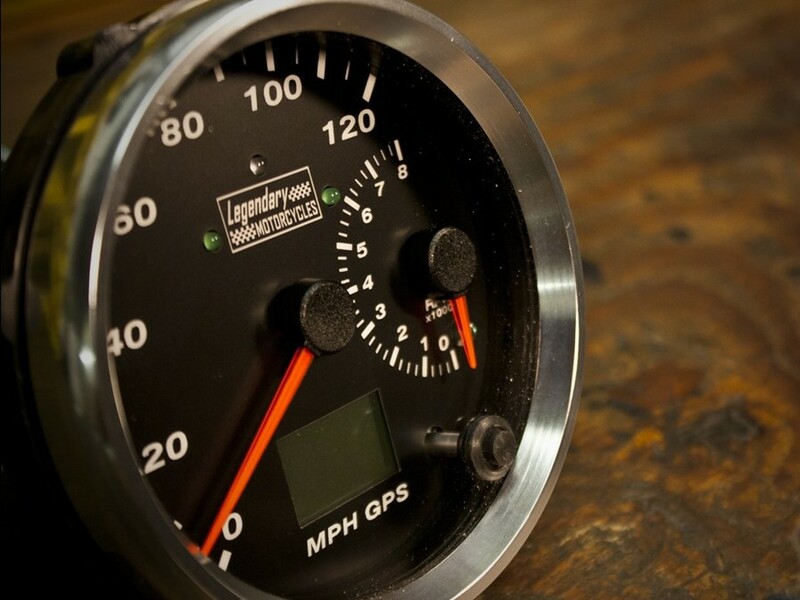 Display 1/4 mile time and speed. 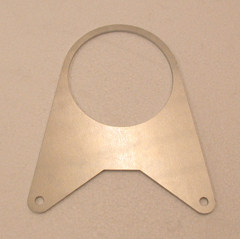 6061 CNC precision cut Aircraft Aluminum Brackets.